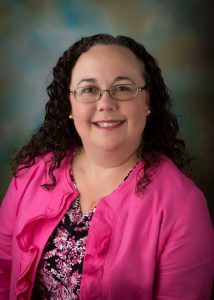 Jennifer Denson, executive director of Partners for Environmental Progress (PEP), will be honored by The Mobile Area Council of Engineers as Individual of Special Recognition at MACE’s Annual Award Banquet Jan. 26. Denson has a strong record of leadership and service in Mobile, Alabama, working to promote sustainable economic growth while conserving and protecting the unique natural resources of the coastal environment. “Hargrove elected to nominate Jennifer Denson because of her tireless dedication to our community,” said Vicki Studstill, director of business development for Hargrove Engineers + Constructors. Returning to her native Mobile after working for 15 years in Washington D.C., Denson brought with her extensive experience in formulating public policy on complex issues. Since 2007, she has put this experience to work in the Mobile area as executive director of PEP. “PEP’s membership has steadily grown under her leadership and she has implemented several new programs, including By-Product Synergy Central Gulf Coast, which serves to promote Mobile and the surrounding areas,” Studstill said. Jennifer led the implementation of PEP’s innovative program for businesses on the Gulf Coast: By-Product Synergy Central Gulf Coast (BPS). The program matches one company’s under-valued waste or by-product streams with potential users, helping to create new revenues or savings for the organizations while also addressing the social and environmental impacts to the Gulf Coast implementation of By-Product Synergy Central Gulf Coast in 2009. BPS was awarded an EPA Gulf Guardian award. PEP is a coalition of business and education leaders representing more than 220 member companies who share the vision of applying science-based environmental best practices to business and community issues. Denson represents PEP in the community and industry, tackling difficult issues surrounding commerce and sustainability. “Jennifer is innovative in her approach,” Studstill said. “(She) takes the initiative to educate herself about the challenges and issues business and industry face.” Denson’s leadership and dedication in driving policy has been recognized by local and state leaders, drawing an appointment by Gov. Bentley to the Coastal Resources Advisory Committee. In 2014, Mayor Sandy Simpson appointed Denson to the City of Mobile Planning Commission where she continues to serve as secretary. MACE also recognizes Denson’s hard work and commitment. The umbrella organization of local engineering society members strives to advance the art and science of engineering and to provide a forum for communication between engineering societies. Each year, MACE recognizes individuals who make a positive impact in the Mobile area. Denson will be honored during MACE’s annual award ceremony at the Gulf Coast Exploreum Science Center in downtown Mobile on Jan. 26. A reception and dinner begin at 5 p.m., followed by the award ceremony at 7 p.m.